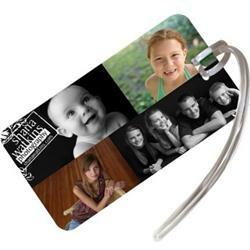 This bright vibrant full-color luggage tag is a great way to get your logo out there. Includes attaching loop and clear vinyl window with address card inserted. 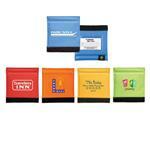 Available Imprint Options: Full Color Imprint or single color. Individually poly-bagged. Price includes one color printing.